To suggest that dealing with my oily skin is easy would be a lie. Aside from ensuring that my bag contains enough blotting paper to last me throughout the day, there is also the fear that the extra oil on my face will lead to acne and breakouts. Although adolescence is far behind me, I do still suffer from acne, and efforts to treat it can increase the risk of scarring and pigmentation. In fact, some of the products marketed to my skin concern actually contain high levels of toxic ingredients that can permanently damage dark skin. One, in particular, is hydroquinone, which not only can increase hyperpigmentation but can also increase hormonal issues. So, in the hope of safely addressing my oily, acne-prone dark skin, I visited the Dr. P Aesthetic Lifestyle Centre in Hyde Park to see Dr. Portia Gumede. 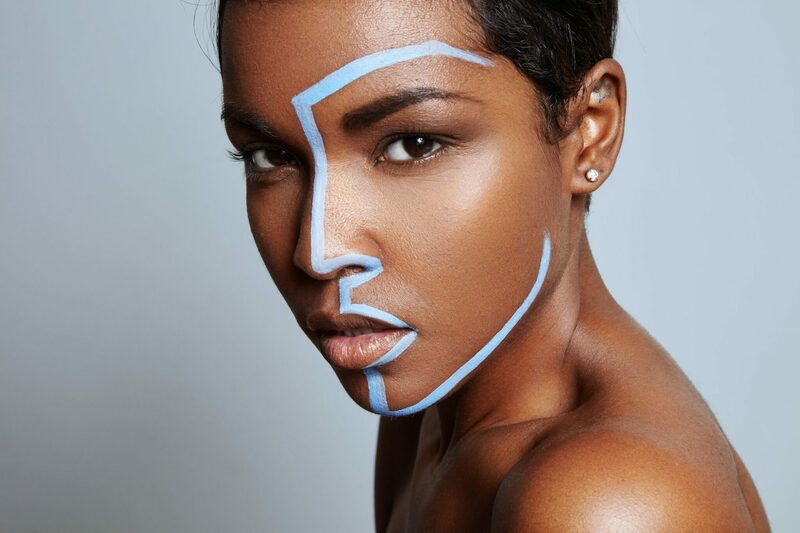 One of the leading black female aestheticians in the country, she has made it her mission to educate dark-skinned women on aesthetic treatment solutions. Through the use of chemical resurfacing treatments, my pores would be unclogged, the surface of my skin would be exfoliated and any form of inflammation would be calmed. It was comforting to learn that different peels would not bleach my skin in any way. The practitioner who would administer my treatment was Jeneva. 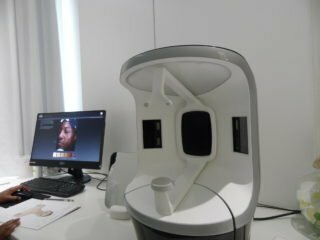 First, my skin was digitally analysed by the Visia Complexion Analysis machine, which provides an accurate report of your skin’s needs and problem areas. The report indicated that my skin was free of any UV spots and revealed, unsurprisingly, that it was also extremely oily. However, it also highlighted that my skin was not only very dry, but there were bacteria lingering on it, which likely contributed to the acne and breakouts on my cheeks. With my skin fully assessed, Jeneva was then able to prepare a treatment that would cater specifically to my skin’s needs. In this instance, it was the Mango Brite Resurfacer Treatment. At the start of the treatment, my face was gently double-cleansed with Dermaquest C-Infusion Cleanser. Rich in antioxidants, particularly vitamin C, the cleanser both hydrates and brightens the skin. Thereafter, my face was exfoliated with Dermaquest Peptide Glycol-Cleanser. The presence of peptides in this cleanser helps to reduce inflammation, while also removing any impurities from the surface of the skin – without dehydrating it. My face was prepped for the suggested treatment with Dermaquest Dermaprime, which would both protect and strengthen the skin before the peel. Then Jeneva finally applied the Mango Brite Resurfacer Treatment. While my skin tingled a bit as she applied it (I rated tingling a 4 out of 10, with Jeneva revealing that a 10 would mean my skin would be too sensitive to receive the treatment), the sensation soon subsided. After exactly one minute and 30 seconds, my skin was once again neutralised with Dermaquest C-Infusion Cleanser, before Jeneva finished off with the essential moisturiser Dermaceutic K Ceultic SPF 50. While I was told there would be a small chance of flakiness, there was no downtime in my schedule and I went straight back to work – with a perfect glow. The next day, my skin still had it, and the pimples on my cheeks were barely visible. As I had the treatment done on a Friday, it was easy for me to avoid exposure to the sun for 48 hours, as recommended, and I made sure that my skin was properly misturized. Following the R700 (approximately $50) treatment, it was recommended that I return for a course of six Mango Brite Resurfacer Treatments, every three weeks. With each further treatment, they will up the level and add a retinol booster. 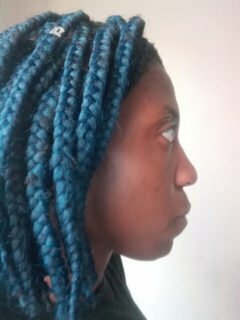 I was glad to know that I finally had a treatment plan that would address my skin concern, while simultaneously caring for my dark skin. Click here to find out more about the treatment centre and other available treatments. Click here to find out why rooibos tea can help in addressing health concerns such as allergies, heart disease, diabetes and skin cancer in the future.